As many of you know, I am a diehard Scott Speed Fan. That will never change, EVER. This season i decided to ask y'all who would be some good choice to cheer for this 2011 season. After looking at the picks and deciding hard i made a few lists: 1)top 5 to cheer on every race, 2) dark horse pick, 3) chase pick, and 4) Wild Cards. I picked many drivers and will explain briefly why. Please do not hate on the ones i picked! :) Let's get started! In the top 5 category. 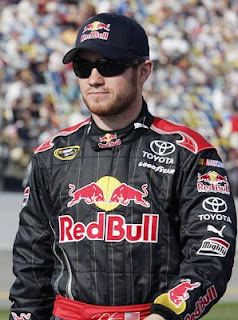 Number 1 is Brian Vickers. Red Bull Racing and driver of the number #83 i have always admired Brian. He's got passion and drive for this sport, he is back for 2011 and i can for sure see him doing a wonderful job. He is for sure in my books, A CHASE CONTENDER. I am so glad to see him back in the #83 and doing well! Good Luck Brian! Number 2 is Kyle "Rowdy" Busch. I picked him, not only because he had an outstanding 2010 season, but also because he walks into NASCAR with a full attitude and isn't afraid to get down and dirty. From Nationwide, Trucks, all the way to Sprint Cup, Rowdy was on the ball. I hope he has a great 2011 and goes walking away with many victories! He is always in my books, A CHASE CONTENDER. Number 3 is Kasey Kahne. 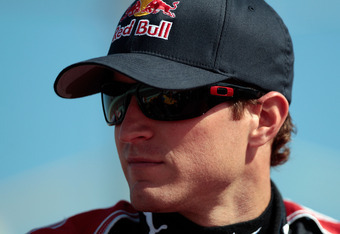 Driver of the #9 Budweiser is the 2010 season, he then transferred into Red Bull Racing. He will be driving the number 4! 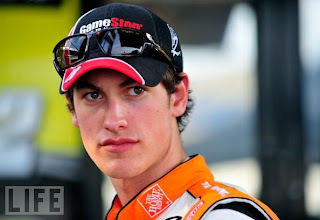 He has a lot of potential with being rookie of the year, and also having many poles a few great wins. I have to say i can see a lot coming from this driver in the 2011 season. He is also in the lines of being a CHASE CONTENDER. 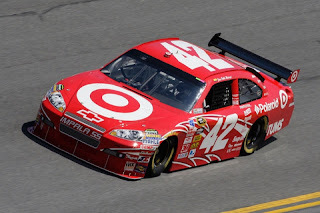 Number 4 is Juan Pablo Montoya. He is the driver of the #42! He's got a lot of skill and ability to do well in 2011. He has the car, can make the races and run them well. He is a CHASE CONTENDER. Montoya will also fall under the category of DARK HORSE. Last but not least number 5 goes to Joey Logano. 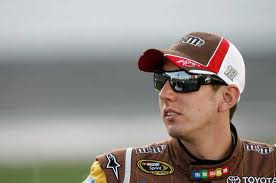 Nicknamed "Slice Bread" and is the driver of #20 Joe Gibbs Racing. A young driver, ready and eager to continue and grow in the racing of NASCAR. Being in the heat of race, leading races, or even winning (New Hampshire) He's made a big statement. He is under CHASE CONTENDER and DARK HORSE as well. The list of top 5 doesn't mean they are gonna be my favorite, but they are the ones i will watch the most. As for the list of chase contenders. 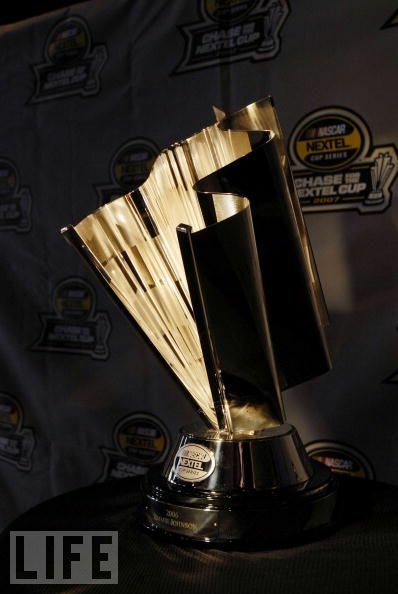 Here is what i believe will possibly be the chase contenders so far. NOTE: This is my opinion and few, i am not saying this is what you should follow! also this will change over the entire 2011 season! and so many more.. this is only the beginning of my list. IT IS ANYONE'S GAME IN 2011! As you can see, Many Categories will change, I may even mix up my top 5 choices! This is all my opinion and what i think of the 2011 season. please do not be offended by this at all. 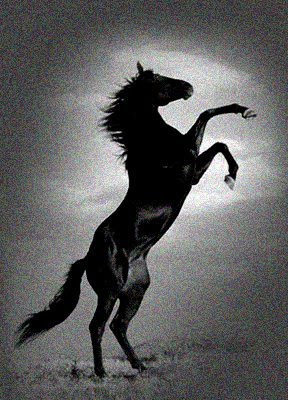 Who do you think is Dark Horse Category? Wild Card? Top 5? Chase Contender? Is Jimmie Johnson going to win his 6 champion (Six Pack)? Will Someone step up and dethrone JJ for the first time? Comments will be put into the next blog! All opinions are welcome! Thank you for reading this very long blog! 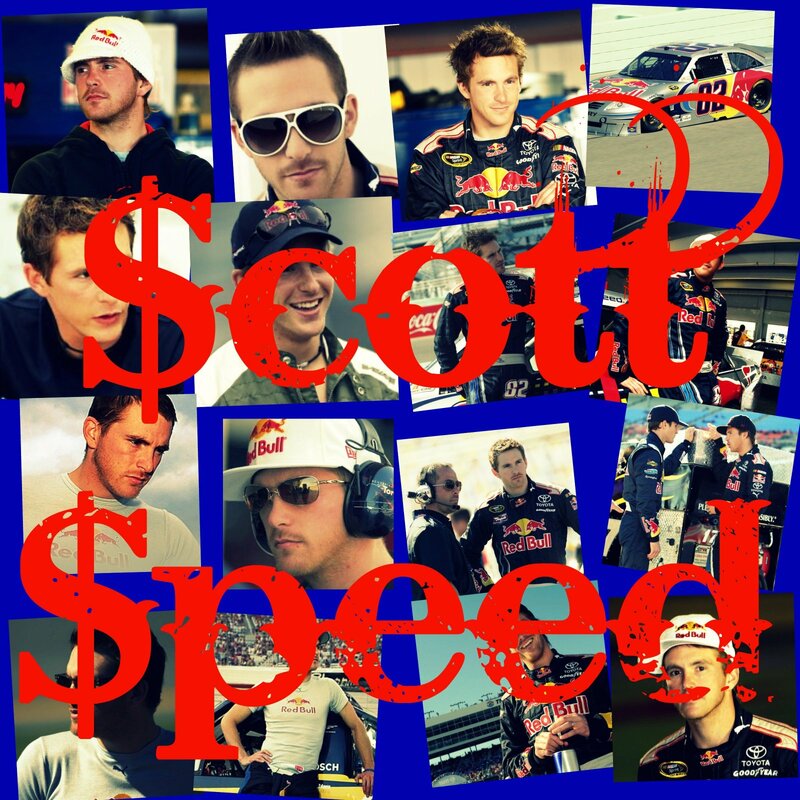 Let's get excited for the 2011 NASCAR season!!!! Is Jimmie Johnson going to win his 6 champion (Six Pack)? (NO)!